Those of you who know your American Revolution history may know of Samuel Mason and his service during the conflict. Whether you do or not, perhaps you haven’t heard of what he did after the war that birthed our nation. I’ll share some of both aspects of his life with you today. of his teen years on the wrong side of the law, stealing horses from a neighbor. However, after being wounded and caught, he stopped the horse thievery. He married Rosanna Dorsey in 1767, with whom he had eight children. In 1773, Mason moved his family to Ohio County, Virginia (present-day West Virginia), where he later served in the Ohio County Militia Virginia State Forces during the war. 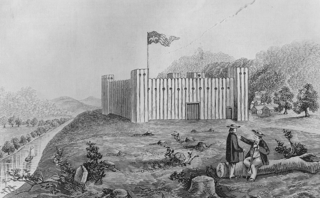 He achieved the rank of captain was put in command of Fort Henry in the Ohio frontier. In late August of 1777, Indians attacked Fort Henry, firing a few shots at men who were outside the fort to round up some horses. When Mason heard the shots, he and fourteen men rode out to their rescue, only to be ambushed. 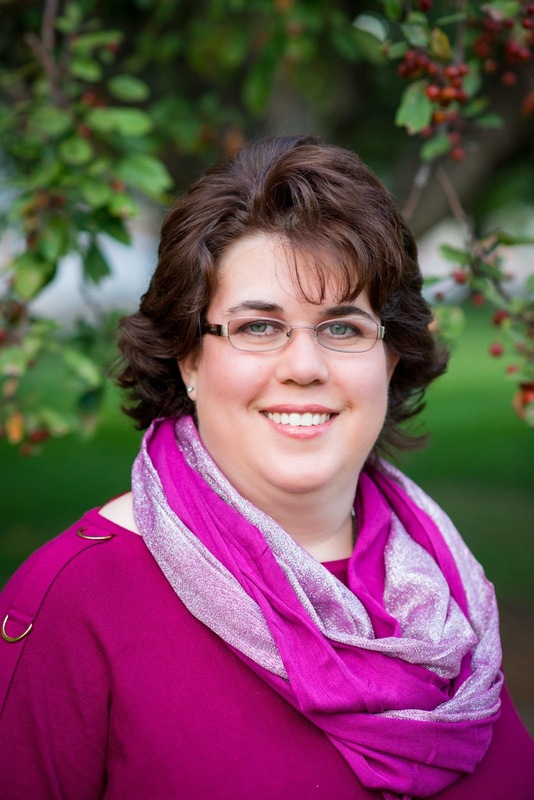 All the men were killed except Mason, who was badly wounded. He was able to survive the attack by hiding behind a log, and was later rescued. After recovering from his wounds, Mason continued on at Fort Henry for another two years, then moved to Washington County, Pennsylvania, and a 500-acre farm he’d bought. There, he became a Justice of the Peace and an associate judge, all while working his property and attaining several horses, cows, sheep, and four slaves. However, he fell deep in debt, though he somehow managed to continue paying taxes on the property and animals. People accused him of being a thief, causing Mason to abandon his property and flee to Kentucky in 1784. A year later, his property was sold in a sheriff’s sale, which repaid only a portion of the money he owed. In 1789, a Pennsylvania court sent someone to hunt Mason down and collect the outstanding debt, though they failed in their mission. It was in the 1790’s when Mason turned back to lawlessness. Settled at Red Banks along the Ohio River (present-day Henderson, Kentucky), Mason and his four sons took to river piracy. Later, the gang moved southward to Diamond Island, and eventually made their hideout the notorious Cave-In Rock on the Illinois side of the river. There, they were known to invite river travelers into the cave and offer them hospitality, all while some of the gang would scope out what goods the travelers had on their boats. Once the voyagers would move on, Mason and his gang would attack them and take whatever they wanted. 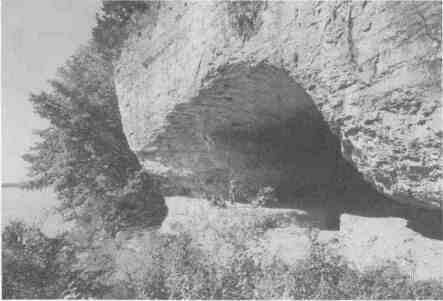 For a while, the Harpe brothers—Micajah and Wiley, who are thought to be the first American serial killers—made their home at Cave-In Rock. Mason and his gang didn’t take to the Harpe brothers’ especially brutal ways, despite the fact the Mason gang could be plenty harsh to their victims as well. Mason asked the brothers to move on. causing the band to move south again, this time into Spanish Louisiana and the Natchez Trace of Mississippi, where they continued their pattern of robbing and killing the travelers along the wilderness thoroughfare. By now, they’d become notorious desperados—some of the early precursors to western outlaws like Jesse James and others. In 1802, bounties were put out for the gang members. They were captured at least once, though they escaped. Some accounts say that Mason killed the boat commander in his getaway, adding another life to his brutal outlaw career. When the Americans upped the bounty on Mason and his gang in 1803, an old “friend” found the reward too tempting to resist. 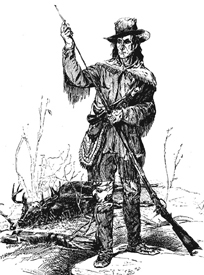 Wylie Harpe found Mason, murdered and beheaded him, and took the trophy to the Mississippi territorial offices to prove he’d captured the desperado. Harpe was quickly identified as an outlaw in his own right, in part for his time spent with the Mason gang, and he was subsequently arrested and hanged. Thus ends the story of Samuel Mason. It’s your turn: Do you find the stories of heroes-turned-villains like Sam Mason to be interesting, repulsive, or both? 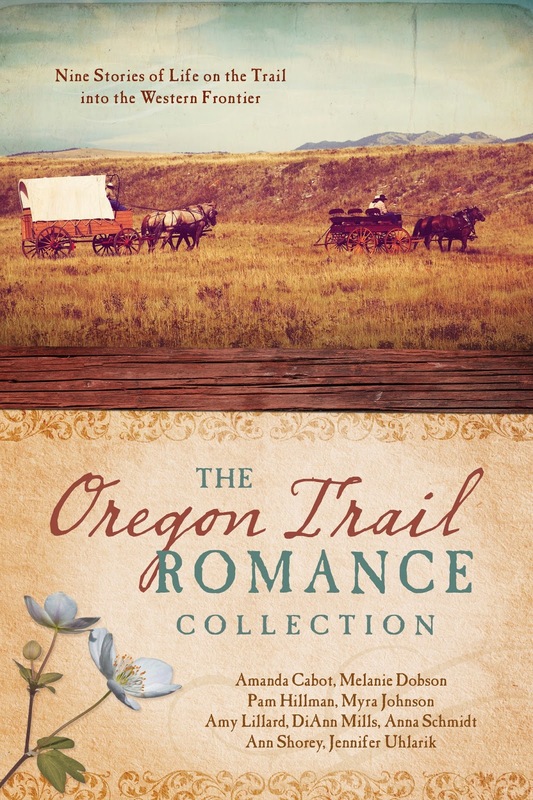 Nine romantic adventures take readers along for a ride on the Oregon Trail where daily challenges force travelers to evaluate the things that are most precious to them—including love. Enjoy the trip through a fascinating part of history through the eyes of remarkably strong characters who stop at famous landmarks along the way. Watch as their faith is strengthened and as love is born despite unique circumstances. Discover where the journey ends for each of nine couples. It's definitely an interesting story, although I prefer tales of bad boys who turn good and become heroes. Read it love the book. Thanks for letting me know, Kim! :) Glad you enjoyed it. Samuel Mason certainly led an interesting life. How sad that he turned back to lawlessness! Thanks for sharing about this hero-turned-villain; I really enjoyed the post. Agreed, Britney. It's sad when they've lived on the right side for a while and turn back. :( Glad you stopped by. There's always a story behind them, isn't there, Sharon. I find it interesting to see what led them astray.